Late on a Monday morning in France I find myself lying in the tent and feeling a bit lazy. Not having a lie in, but trapped here until the rain has passed by. The sound of rain on the tent flysheet is rather soothing but I didn’t have a good night. We had a fox snooping around outside our tents squealing at 3am. He hung around until I threatened to put a stale baguette to his ear. The temperature outside is a mild, wet 13°C and forecasted to drop close to freezing over the next few days as this front passes over. That’s why we’re following the migrant geese south. We hit 1000km of our trip yesterday (including the channel crossing) so we treated ourselves to lunch at a restaurant for some confit de canard, frites and some local Bourgogne vin rouge. Having hit this milestone it’s a good opportunity to reflect on the trip thus far and provide an update. We have been heading south east since we arrived in France and once in Dijon took a turn south to cycle down the River Saône towards Lyon. 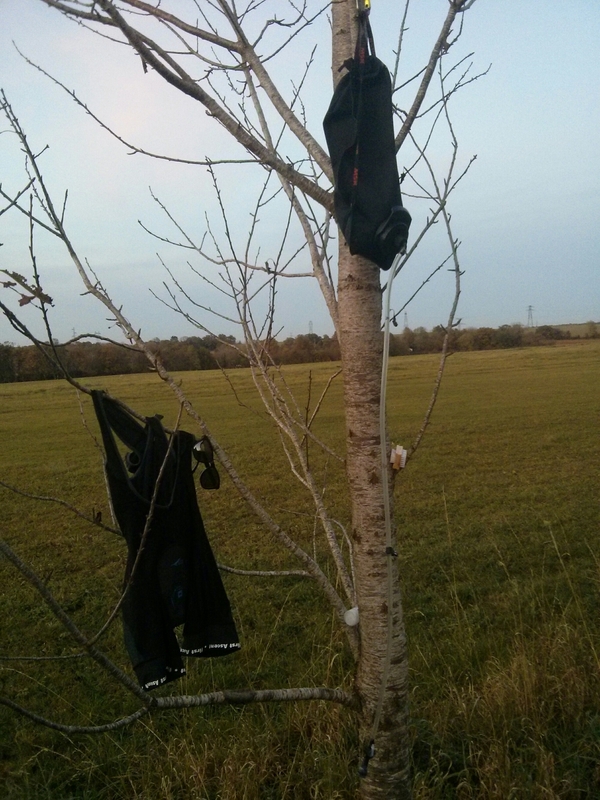 It has been hard work cycling into a constant headwind but that is the seasonal breeze we have to deal with. Although there was one day with a tailwind. We were in Péronne trying to sort some admin and we only got going at 14:30 that afternoon so enjoyed it for half a day. What a difference it made. We have ridden through some beautiful towns, villages and cities which I would like to return to one day. 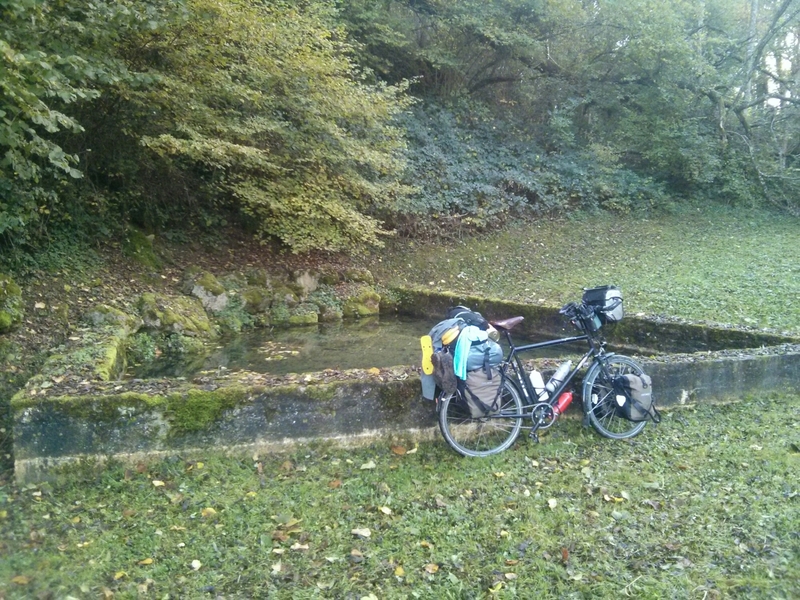 A highlight was finding the Burgundy Canal which is beautifully flat and full of other friendly cyclists. Definitely recommended if you are cycling from Paris to Dijon. We have been wild camping most nights. It can be a lot of hard work after a long day’s ride and can be uncomfortable in wet, damp and dark forests but is always a great experience if you’re willing to share your tent with some spiders, listen to scratchers in the night, bush shower and use a spade. The bush shower. Great after a long day’s ride. We have kept ourselves well nourished with all sorts of French cuisine including tortellini, ravioli, spaghetti, tagliatelle and various sauces to compliment those. I cooked a curry and rice one night and Pierre did a potjie. Oh, and one night I cooked confit de canard with tartiflette with some couscous on the side for some French flair. A cheeky lunch stop for some steak and frites. Good for the spirit in bleak weather! Lunches are usually spent somewhere along the roadside with the daily chore of drying out our tents. We try to ride for a good two to three hours before taking lunch. We eat at least a baguette each with a range of French cheeses, foie, pâté, butter and Marmite. For breakfast we normally have a banana, yoghurt, oats and any leftover stale baguette from the day before. We are averaging 2.8 bananas per 100km. A bit too efficient but bananas are unfortunately very heavy to carry on the bike. Our lunches have improved since this! Yesterday we had an epic flat ride to Tournus. Pierre almost ran over a family of deer. 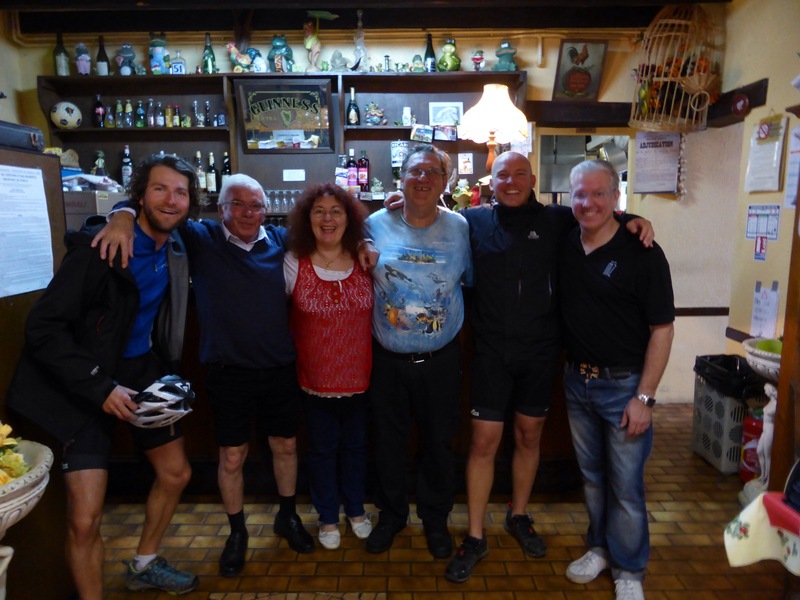 We rode 68km in cold, windy conditions but it was sweetened by some friendly people en route. 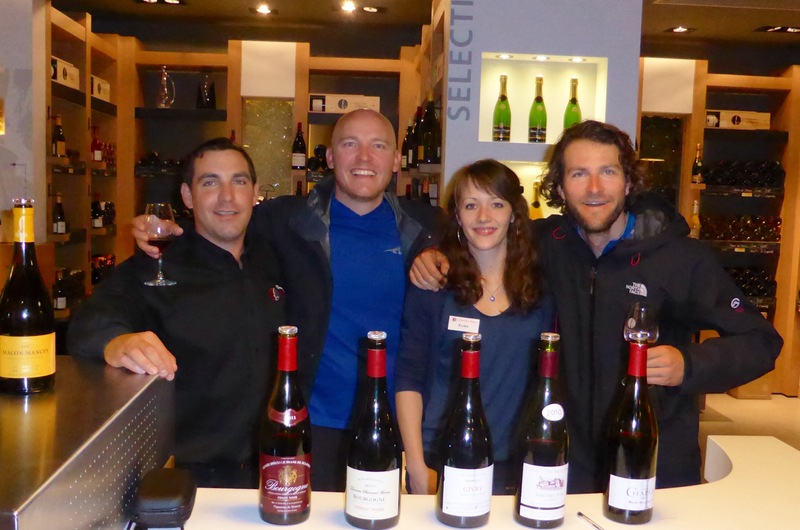 Patrick, from Restaurant Chaussard in Port d’Ouroux sur Saône gave us a bottle of wine to take on the road. A very thoughtful 375ml so as not to weigh us down any further. That, after many photos with the kitchen staff. 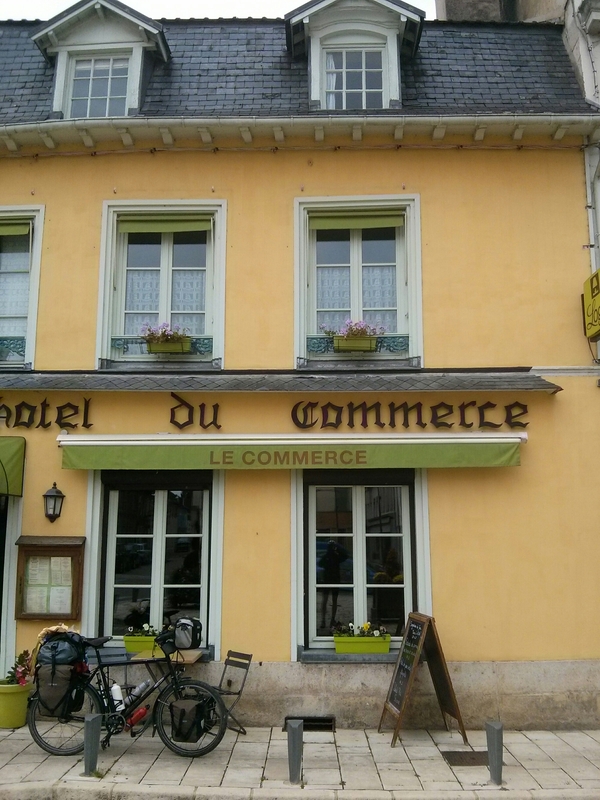 We tasted some great local Burgundy wines near Tournus and scored a shower, beer and another baguette at the local football club (AS Tournus) when we were looking for a place to camp. Merci to those who have helped us along. Well done on the big milestone! Sounds amazing!!! Very cool the marmite squeeze bottle, no more scraping out the last bit!! It has to stop raining one day, sounds like a great trip so far with the best of French food to cheer you on! Thanks Christoph. All well. Were just over the Alps from you in the Côtes du Rhône. Making our way south. Good advice on the food. Hi to the family. That’s a really friendly adventure – outside Paris the French are great!! 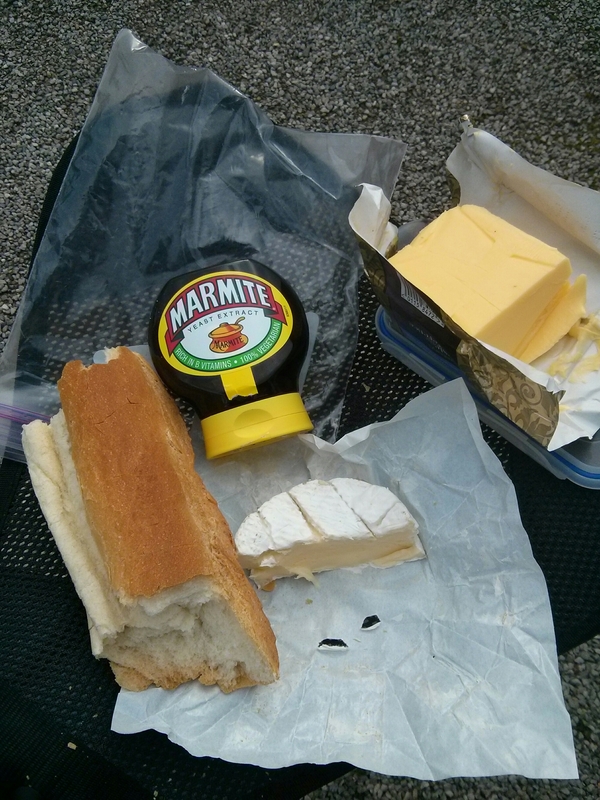 Marmite and Italian food – hmmmm – perhaps not?! How are you getting on your baguette and marmite diet, hope you are making good progress! How do you keep your head so smooth Pierre?